Is mere “awareness” a worthy goal? Does one truly understand what the organizations behind these movements represent? How do they spend their money? What else do they do? Does the eventual satirization of these campaign memes help or hurt the cause? Does celebrity participation enhance the celebrity or the message? Are there other causes that should be focused on? I personally tend to err on the side of “every little bit helps.” The ultimate question I ask myself when I see these memes arise is, “Does it do harm?” If the answer is no, then why not support them. Below I provide some examples of past social activism memes that have recently hit the internet and follow up with some specific suggestions on how educational institutions, faculty and staff can capitalize on these campaigns and increase their educational impact and the opportunity for student action. Before jumping into this, however, I wanted to acknowledge my inspiration behind this post. I recently watched the following video from Anthony Carbajal, who was diagnosed with ALS. In it, he emotionally discusses what seeing people participate in the ALS challenge means to him. This video reminded me of the people behind these campaigns who may get lost in the discussions of what it accomplishes, the value of awareness, etc. For Anthony, even seeing people talk about his disease gives him comfort and hope. If that’s all the ALS Ice Bucket Challenge achieves, isn’t that enough? The Kony 2012 movement is often cited as one of the first highly visible instances of this phenomena. It’s purpose was to raise awareness and advocate for intervention against Joseph Kony, the brutal Ugandan militant with a long string of human rights abuses. The movement really took off with the release of a 30 minute video from the group Invisible Children. As of this writing the video has received nearly 100 million YouTube views in addition to millions of other views on other platforms. In March of 2013, another viral campaign occurred around support for marriage equality. 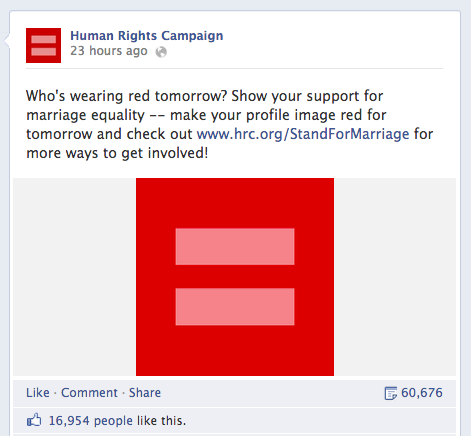 On the eve of an important Supreme Court ruling on the matter, the Human Rights Campaign, an LGBT advocacy organization, posted to their Facebook account asking people to change their profile pictures to a red equals sign. The action took off and there are some interesting data analytics that explain more about that happened. 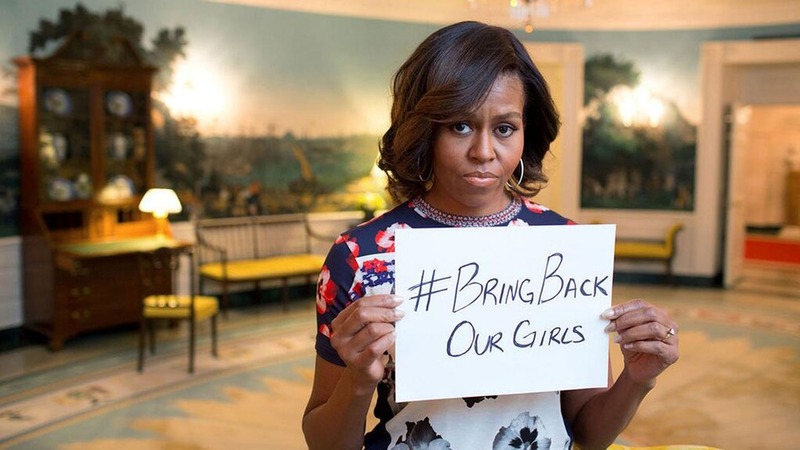 The #BringBackOurGirls campaign movement was initiated to bring awareness to and call for international action against the terrorist group, Boko Haram, that abducted a number of young girls from schools across Nigeria. The hashtag quickly became trending across a number of social media networks. How can this be Enhanced and Supported at Colleges and Schools? 1. Act fast. Seize the opportunity. Memes come and go quickly. In order to capitalize on educational opportunities, you need to be nimble enough to provide relevant up-to-date opportunities for students while still ensuring quality. Be prepared to change your plans quickly. Has a teacher or faculty member of yours ever changed class discussion for a day in light of a breaking news event or story? These conversations are often more meaningful in the moment. Take advantage of it. The Chronicle recently posted a story about how professors in St. Louis are using the events in Ferguson, MO as a learning opportunity. 2. Don’t be afraid to join in the discussion the movement are starting. Some institutions, departments and staff may be hesitant to join in on these memes. What if we make a misstep? You may. Might we alienate students? You won’t. Do they even want to engage with us? They do. Social media isn’t merely an advertising platform, but rather an engagement tool. These instances are excellent opportunities for you to engage your students in social media. You may want to think about how you do it, but you should still do it. For instance, is it your role to take a stance in the marriage equality debate or are you there to help facilitate discussion of the many viewpoints surrounding the issue? Does anyone think raising money and awareness for ALS is a bad thing? So why not have the President or department head participate. Each issue is different, each institution is different, and faculty and staff are in different positions and roles within an organization. Not all responses and engagements should look the same. 3. Build educationally relevant opportunities around these movements… or better yet… enable your students to. Social media activist memes present educators with learning opportunity gold. They can assist in enhancing student knowledge about the issues surrounding a meme. Bring in campus or community experts to hold panels and discussion forums. Utilize the classroom setting to draw connections to course material. Utilize peer learning assistants or resident assistants to start peer-do-peer discussion. This also represents a good time to have the meta-discussion about how social media can be used for social good and how it should be. Have lectures that teach how to organize for social change. Have discussions about how to interact in civil discourse and what it means to be in a democracy. When I engage online and through social media, what responsibilities do I have to the community? How can I use these tools for social good? Rather than just discussing issues, learning is enhanced through hands-on application. Create additional opportunities for students to take action. Help them in coordinating a response. Rather than taking the lead, let the students take the lead and follow-up with support and resources to enable them. Learning opportunities don’t always need to come from “authorities,” but can come from the crowd. It is the beauty of social media and how these memes often begin in the first place.